The first day of school can be a challenging experience for both children and parents. 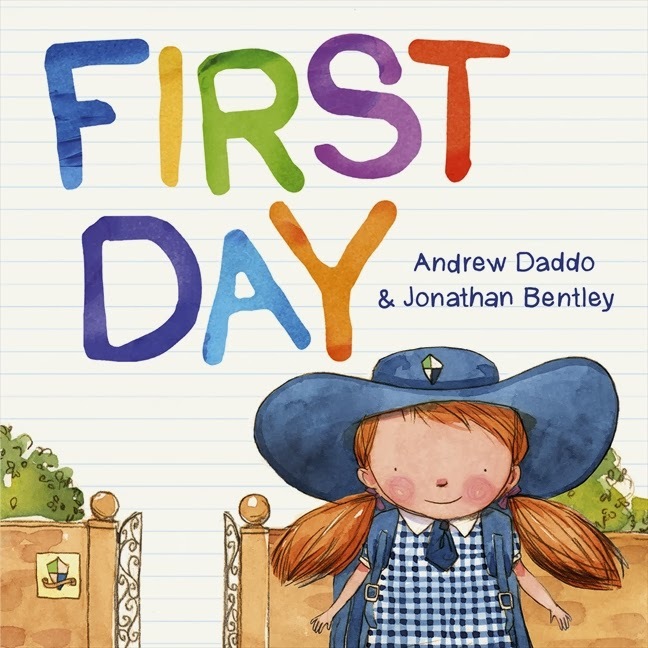 This fun picture book by Australian author Andrew Daddo gives children the opportunity to encourage their fretting parents and remind them that change can be a good thing. First Day offers children an opportunity to reassure their parents with the same comforting phrases they have no doubt been hearing themselves. The story acknowledges that starting school can seem a little scary at first, but there are lots of things to look forward to as well. With delightful illustrations by Jonathan Bentley, this book has a positive, friendly feel and it will no doubt offer children (and parents) the opportunity to talk about their concerns about starting school and find ways to refocus on the exciting aspects of this new adventure.